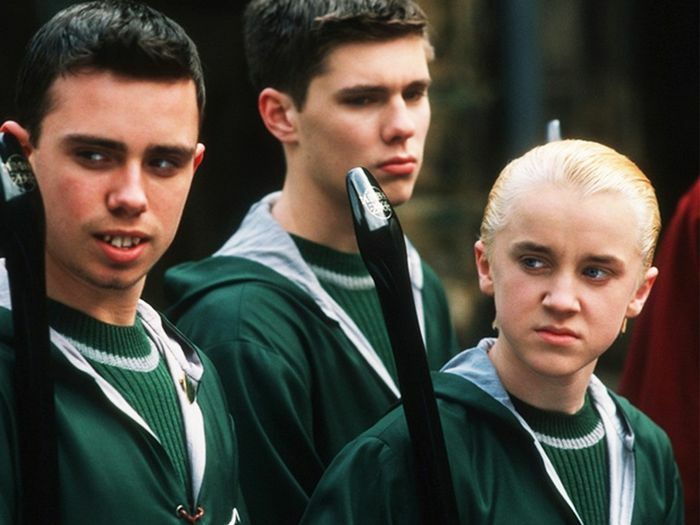 Although I am a true Gryffindor, I can indulge in a few Slytherin tendencies from time to time, including one particular jewelry trend that's taking Hogwarts pride (or at least your jewelry collection) to the next level. Snake jewelry has seemingly been popping up all over the market in both the fine and fashion jewelry categories, and Slytherin or not, Harry Potter fan or not, this is one accessory we're hyping up hard. 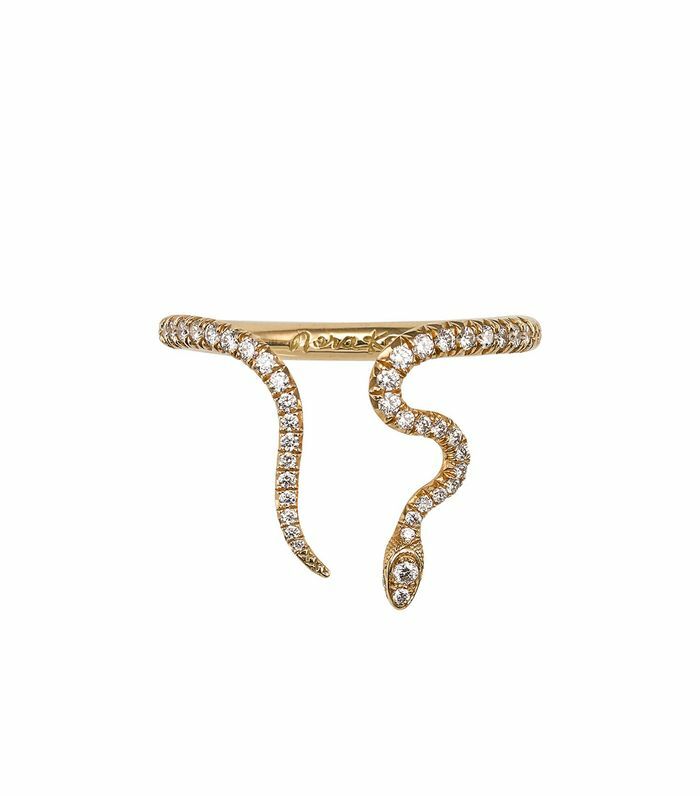 Even better news is the snake jewelry trend offers up serpents of all variations, from subtler bracelets you'd have to look twice at to notice the animal-inspired shape at all, to diamond-encrusted snake rings that are hard to miss. Ahead, I've rounded up my favorite snake jewelry pieces on the market so you, too, can fall in love with the style. Slither your finger into something diamond-adorned. This snake thread earring is perfectly dainty. A barely there snake that will charm them all. An unexpected combination to top off your outfit. The accessory your LBD could largely benefit from. This will go perfectly with the rest of your ring game. The kind of piece you'd keep in your family for generations. The perfect way to ease into this trend. We love the rose gold hue of this one. Wait… Are pearls and snakes a thing now? A bangle worth splurging on. The kind of bracelet you'll never have to take off. We'll never be able to look at lariats the same way again. Wear this with an all-black look for a little sparkle. Next up, shop 17 simple bracelets you'll never have to take off.